Perhaps even more fascinating than the story of the bullet itself, though, is seeing how Caroline interacts with those around her. Kelly's other characters are as well defined and multi-layered as her protagonist: the aging, slightly inappropriate journalist at the Atlanta Journal-Constitution and the young, hip archivist at the same office; the doctor who listens to country music and drives a red Jeep; the Southern belle next-door neighbor who tells Caroline stories about her biological parents; and Caroline's two loving and protective older brothers. The Bullet marks a different tack for Kelly, whose debut novel, Anonymous Sources, was a political thriller complete with terrorist threats and international spies. 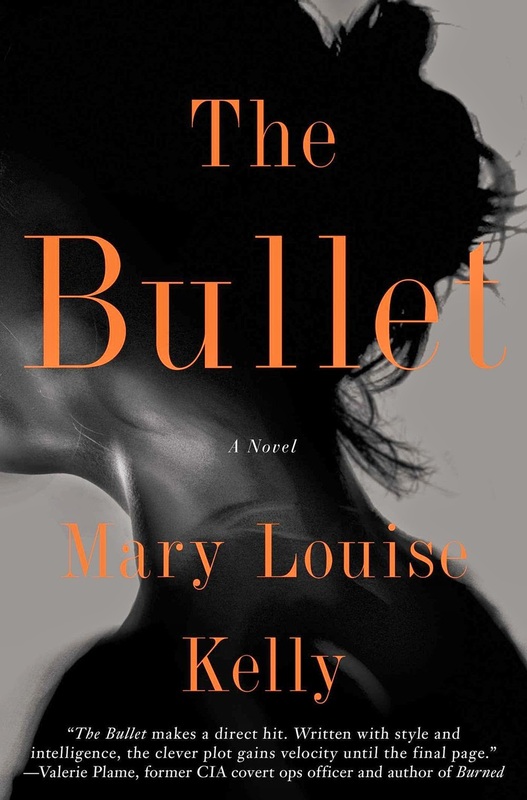 But the lack of political intrigue in The Bullet does not mean it lacks suspense; instead, its slow psychological build is riveting, and The Bullet is relentless in its twists and turns. I'm hoping to get to this one in the next few months. I just can't read this review until I'm finished -- it's just a thing I do. BUT. I'm already really loving it. Plus, it's partially based in Atlanta which makes me have all of the feelings because I miss home. Anyway, I'll be making my way over here as soon as I've finished! I completely understand--I do the same thing with books I want to keep an open mind on and/or books I don't want to know too much about, lest a little spoiler take away from the fun of it. So I won't say a word on this comment response except to say please let me know when you finish it so we can talk about it, because besides my editor, I don't know anyone else who's read it! It was a fun, fast (I read it in a weekend!) read. Not quite what I expected going into that... and that wasn't a bad thing. Ok, so I finished this last night... and I'm really torn about it. First, I think it started off really strong and then kind of descended into something completely unbelievable. She got me with the twist, I will say that, but the bit about her in that parking lot with the guy, you know, when she fakes her car being broken down? Yeah! Where the hell did that come from? I'm assuming she set it up for a sequel? Which I'll probably read, but still. After a while, Caroline's character annoyed me and I can't quite put my finger on why. While it had some crazy potential, all in all, I just thought the pacing was off and the twists too abrupt (almost like a rough scene change at a high school play competition). It's definitely an entertaining read and I enjoyed reading a book about home (even though I thought the Atlantans she encountered were really off base and stereotypically southern). It's funny because it started off so good that I recommended it to everyone and then once I finished I was like, "Oh no." Ha. Joking aside, I would recommend it, especially to a book group. That'd be a fun discussion.